Many satified customers have been kind enough to leave us great reviews and feedback. Here are some of the comments that we have received with a gallery of photos from past events. 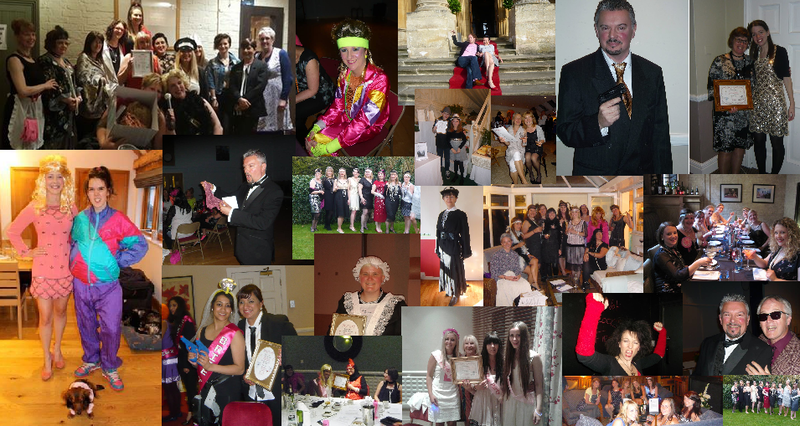 If you enjoyed our murder mystery, then please feel free to share any of your thoughts and pictures with us by email or on Facebook. "Thank you so much for such a wonderful experience last night! Everything you did was very much appreciated and greatly enjoyed. 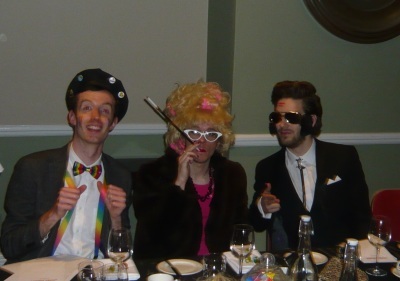 Our guests commented on how memorable and fun the evening was. We certainly had a great time. I also want to say thanks to the very helpful catering team that you've provided. 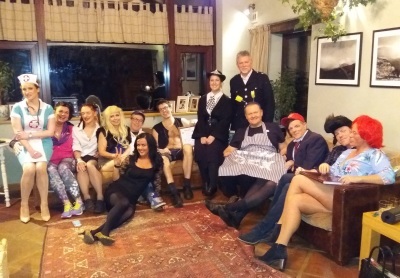 I couldn't quite believe how much nicer and more enjoyable my own night was due to their help. I actually spent time with guests, not just working all evening in the kitchen, feeling stressed and anxious. People were very happy with the food which was well reflected by the fact that there was virtually nothing left apart from an odd cracker." "Just to say a huge thank you for the other night, I have never laughed so much! Alex and Mel really made the night great! Hilarious, professional and great great fun. More than I could of asked for... and the way they included all the specifics that I sent them about my sister in their script really made the night. 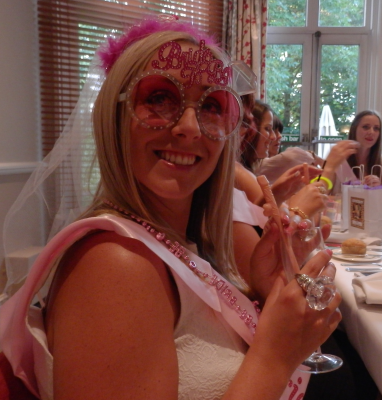 So a very heartfelt thank you to everyone for making my sisters hen so special. I will definitely be booking you guys again." "The actors were really good and there was a lot of laughing with and at each other! 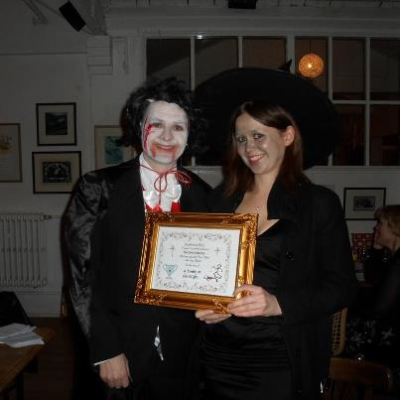 Emma had a lovely time and the dressing up theme was a great suggestion as well. 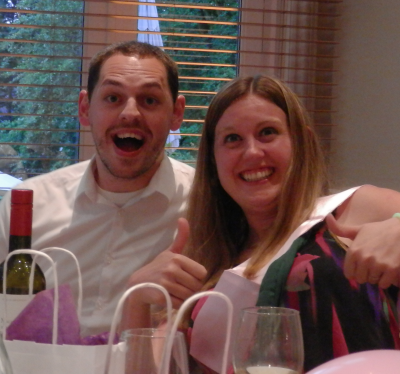 You made everything really easy for me and we all had a great time!" 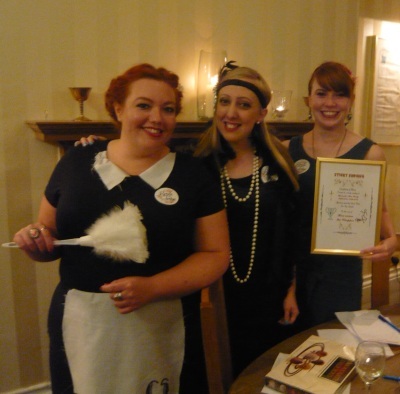 "It was a truly enjoyable and very memorable night indeed - thank you, - the cast and the caterers, - very much! You are a great company, very good fun. We very much appreciated all your help!" "I thought it was going to be rubbish but it was really good." The Mandeville Hotel - London. 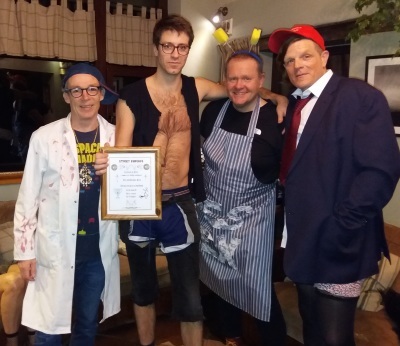 "They really made the night run smoothly and had a great sense of humour! We all came away with smiles on our faces and fab memories. Thank you!" 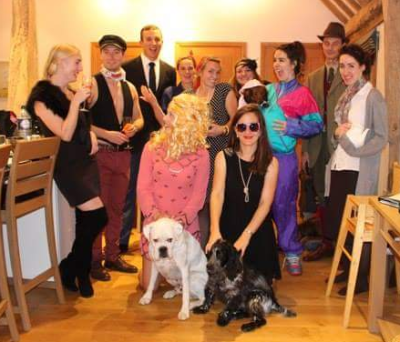 I organised Karl and his team as part of Luci's hen weekend. It was something a bit different which everyone loved. From the moment I dealt with Karl, he was amazingly prompt responding and helpful. 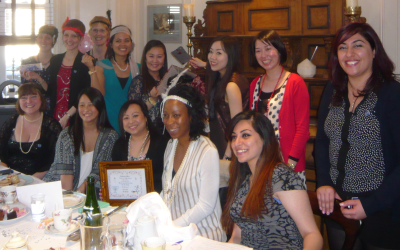 He skillfully constructed a very amusing personalised script which the hens and the bride to be found hilarious. caterer to ensure that our night ran really smoothly. All in all a great success and would highly recommend Sticky Endings to anyone! 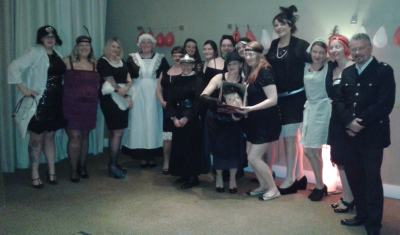 Amazing night for my mums hen do at the sun inn in hardingstone. Karl, you made it all stress and worry free thank you so much! through the evening. We all had a fantastic time, I highly recommend you!! Thank you so much!! everyone was into the scene! I have had a lot of positive feedback from the guests. I thought your script was very funny and the delivery was excellent! 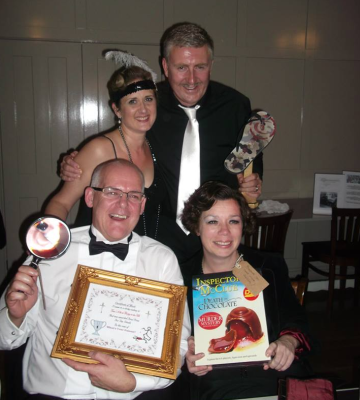 Visit our Facebook page for many more photos and comments from over 7 years of murder mystery events.